"Waiting On" Wednesday is a weekly event, hosted at Breaking the Spine, that spotlights upcoming releases that we're eagerly anticipating. Charles and Anna soon discover that a dangerous Fae being is on the loose, replacing human children with simulacrums. The Fae’s cold war with humanity is about to heat up—and Charles and Anna are in the cross fire. This is one of my favourite series! I absolutely love Charles & Anna, and I can't wait until the next one in the series is released. My only complaint is the three-year wait since Book #3! What are you waiting on? Please leave a comment in the section below. If you participate in this meme, please leave a link so I can visit your blog! 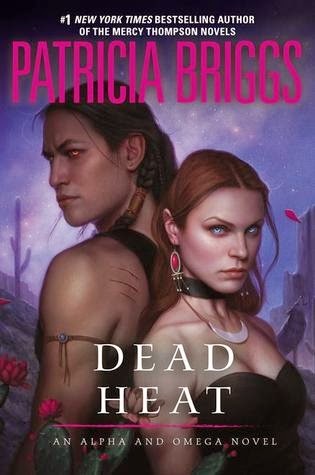 ohhhhhh I love Patricia Briggs, iv read all of the Mercy Thompson series. Me too, Susie! I still need to finish the Mercy Thompson series. I probably will pass on this since I would have to catch up first, but I hope you enjoy! Thanks, Kim! And thanks for stopping by!